In this house, we are always looking for better ways to eat and healthier options to integrate into our diets. 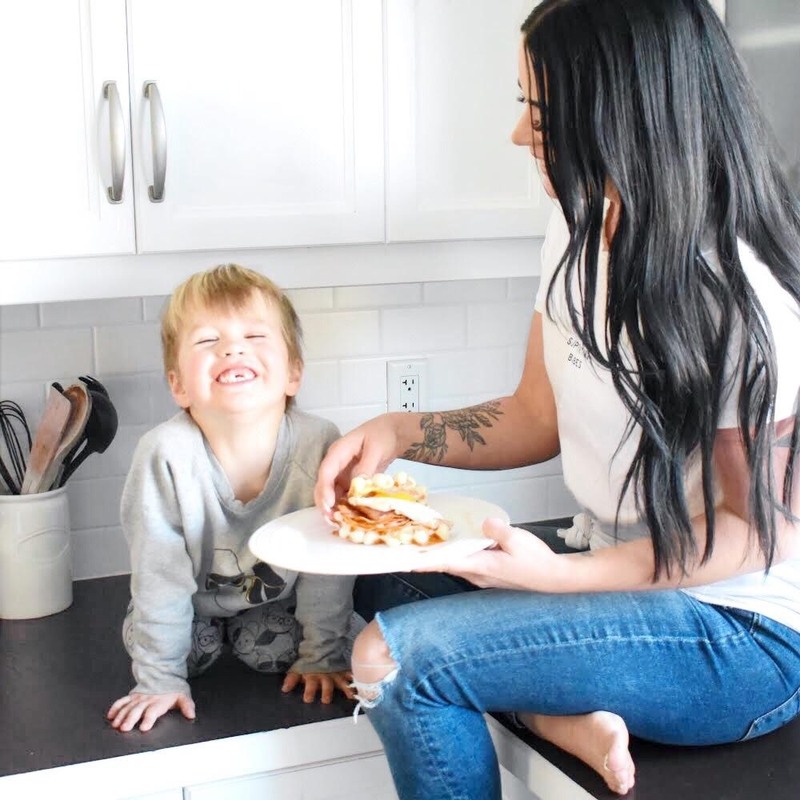 Our kiddos are the typical picky eaters and have a very small selection of food they’ll actually eat, so we are always trying new recipes with healthy and clean ingredients to make sure they’re getting the best food possible. With the new Canadian Food Guide coming out, we are working towards finding good quality protein options that aren’t packed with fillers and unnatural ingredients, and Maple Lodge Farms have come out with a great option! Natural From the Farm deli meat has 25% less sodium than the leading natural brands, it has natural ingredients, gluten free, 21% meat protein, and many more amazing bonuses! We are trying to keep sodium intake to a minimum and products like this are such a great help in doing just that. Maple Lodge Farms has done an amazing job of removing a large amount of the sodium while keeping the full flavour! We have recreated their Spicy Waffle Breakfast Sandwich using the Natural From the Farm deli meat, so keep reading to learn more! *Note: we went ahead and made our own homemade waffles instead of using store bought, but you can do either one! Melt butter in a frying pan, add eggs and cover. Flip when necessary, but do not overcook. Remove from heat before the yolk hardens. Cook low sodium bacon in a pan until desired firmness and remove from heat. Add chicken slices to warm pan to gently heat and sear. Stir together mayonnaise, maple syrup and hot sauce. Spread over 4 waffles; top with chicken slices, bacon and eggs. Cap with remaining waffles. Add toppings of your choice! This could include lettuce, tomato, avocado, etc! And that’s it! A delicious low sodium breakfast option for the whole family to enjoy for brunch on the lovely Spring weekends coming our way! I encourage you to have a look at the ingredients used in your meals and be aware of the amount of sodium in your families diet, as I think we generally look over the importance of this!